Every morning (usually after my workout), I go outside on the back deck naked, and feel the energy of nature. It does not matter if it is dark, light, hot, cold, rain or snow. I always go out, every morning and experience the energy and power of the gods. Snow is water. Its cold and it’s frozen, but its still water, which is one of the five sacred elements (Chi, Sui, Ka, Fu, Ku). Water is a feminine energy and highly connected with the aspects of the Goddess, used for healing, cleansing, purification and sexuality. The element of water (Suijutsu: 水術) is associated with passion and emotion. By going outside and connecting to this energy, it will help balance all three phases of your “Sanshin” (三心): Mind-Body-Spirit. So find time and a private place, where you are all alone, and you can be naked and feel the energy of the gods, even if it’s only for a few seconds. Strengthen your connection to the TenChiJin (天地人) and pray/meditate/commune and give your thanks for the divine gifts that they give. BANSENSHUKAI LESSON #4 – PLEASE READ! So even though there are some ninja “groups” / “organizations” that want to claim that ninja were not assassins, and did not have secret forms of fighting, is clearly wrong. The most famous ninja densho of all time says it is possible to kill the enemy with shinobi-no-jutsu. It even states that there are secret skills taught to kill the enemy general. 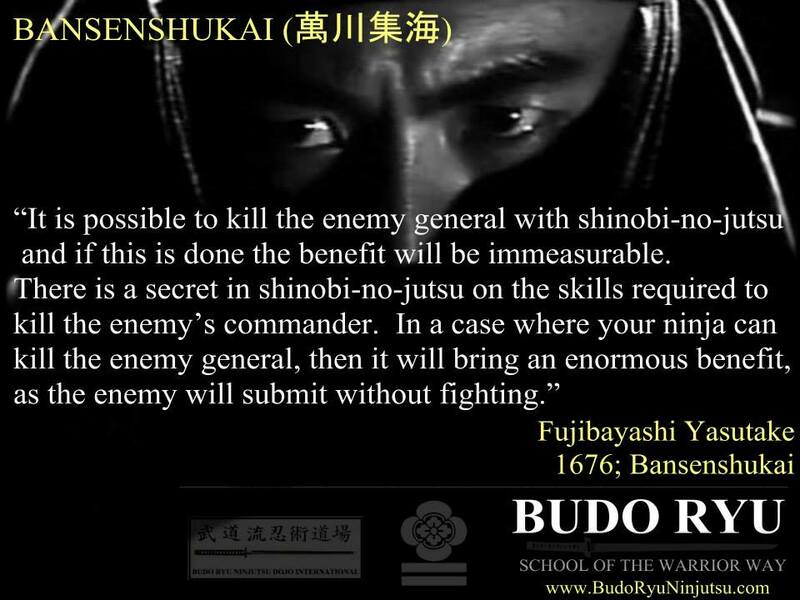 It is simply amazing that these words can be written in what is known as the bible of ninjutsu, and many ninja “practitioners” / “historians” want to claim that they are not assassins, and do not have secret form of fighting. BANSENSHUKAI LESSON #3 – PLEASE READ! We live in an age of internet access, Facebook, Twitter and YouTube, where lots of information is at our finger tips. Just because we live in a digital era, does not mean that everything that we do has to be public. Ninjutsu has its roots and essence in secrecy, and I believe that it needs to stay there. Yes I am very open to the fact that I teach ninjutsu. But, I keep the curriculum, the scrolls and densho between myself and my students. 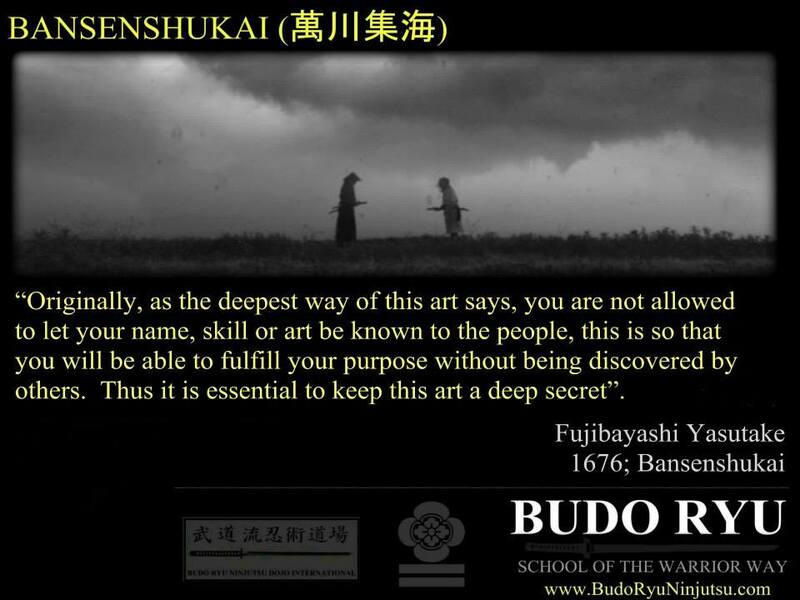 I believe that the art of ninjtusu has to be earned, not giving away. Ninjutsu is an experience, not a text book. Amazing how the Bansenshukai says that you must protect the art, it must be a secret only kept to the members of the clan, yet when I keep all of the training secret, I am doing ninjutsu wrong… Really? Ninjutsu is more then just words on a paper. It is a vehicle to help us become better people, which is very intimate and sacred to each one of us. Instead of trying to learn ninjutsu from the ink on a page, dedicate yourself and train in the warrior arts. Push yourself mentally, physically and emotionally, then, you will have a deeper understanding of the truth. To those that do not train in the warrior arts, this makes no sense to them and these words sounds foolish; but to those that train in the real warrior arts, the ones that sweat and bleed in the dojo with a warrior family that has closer bonds than their own bloodline, this is not foolish, and the training of ninjutsu becomes more than just a method of warfare, it becomes a way of life. BANSENSHUKAI LESSON #2 – PLEASE READ! It is amazing when certain ninjutsu “groups” and “organizations” practice the art of ongyojutsu, it is a historical part of ninjtusu from the Bansenshukai. 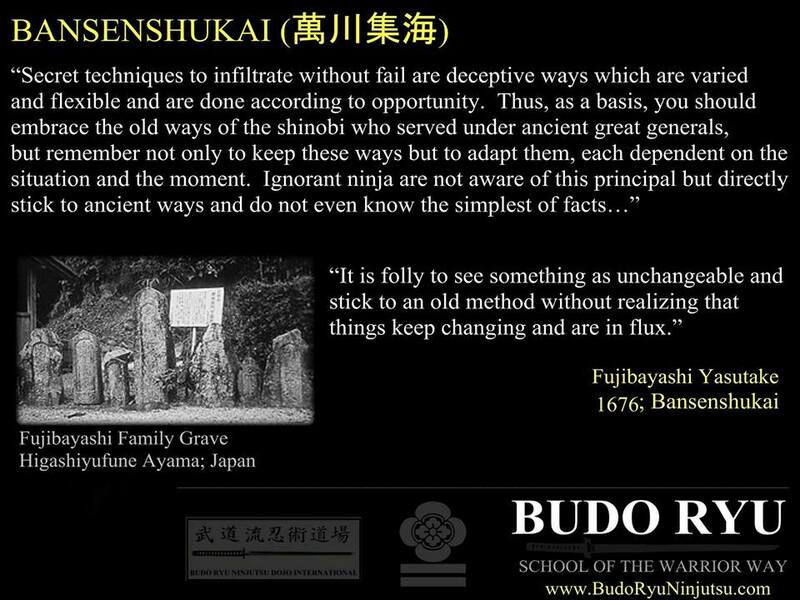 However; when I teach ongyojutsu, these same groups and organizations claim that I get it from a children’s book. 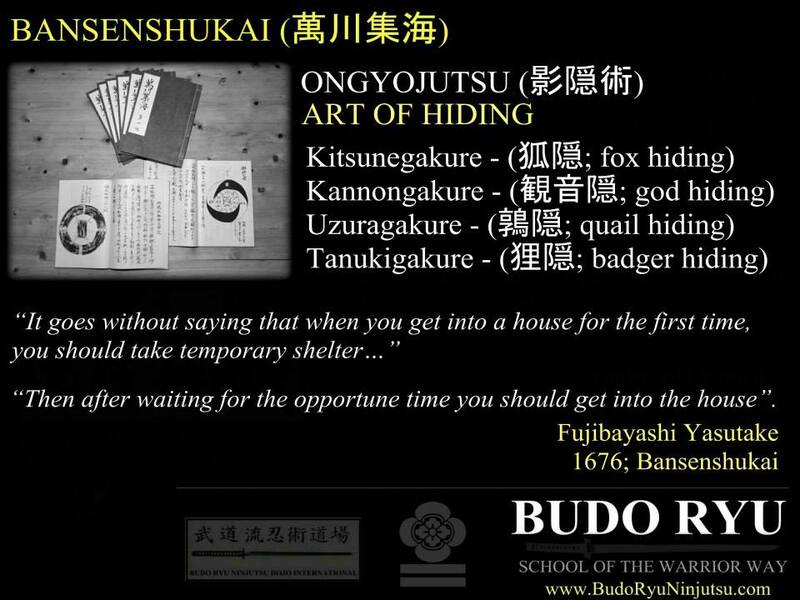 I was teaching these 4 ongyojutsu methods years before the release of the Bansenshukai English translation. I have published the instruction of these methods in two books (Shinobi-no-Michi & Tomo-ryu Shoden-no-maki) both books being published before the release of the English translation of the Bansenshukai. In both of the books that I published, I referenced in the bibliography the Bansenshukai as a source of information. This is fact. The idea that the Bansenshukai is a children’s books is ridiculous. I have been teaching these techniques for years. Now that the Bansenshukai is out, it should be clear to everyone that I have been displaying real authentic ninjutsu since the birth of the Budo Ryu in 2004. It does not matter if you agree with my lineage or not. 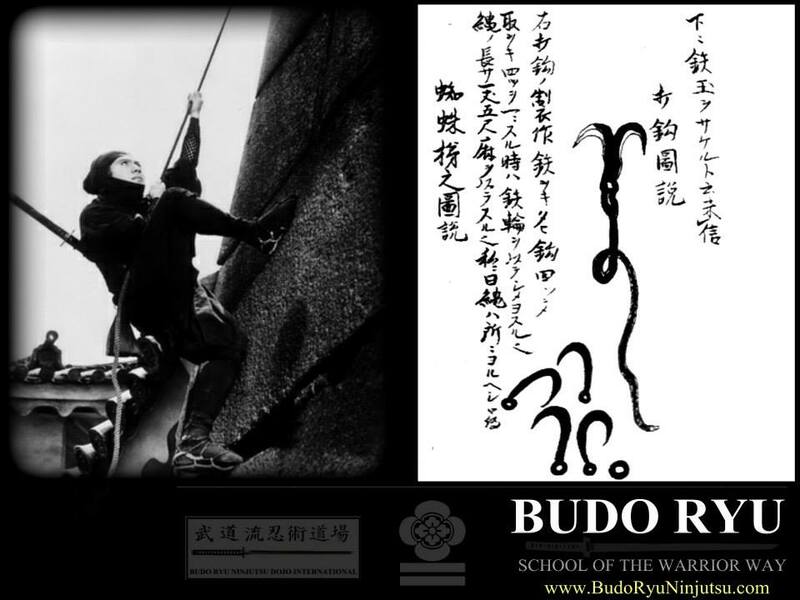 The facts are the Tomo-ryu “jutsu” that is taught within that ryuha completely aligns itself within historical ninjutsu technique. BANSENSHUKAI LESSON #1 – PLEASE READ! Amazing that the ninja of old knew this, yet this stupidity and ignorance still exist today. I guess there are those that feel if they do it “just like the book says” they are right, and everyone else is wrong. The Kagi-nawa (a.k.a Uchikagi), according to the Shoninki, is known as one of the six tools of the ninja. 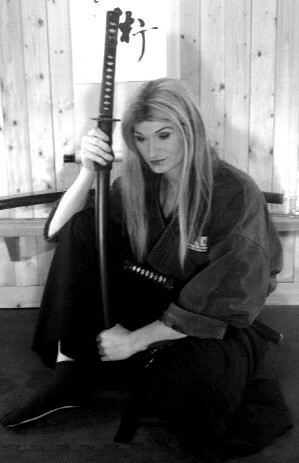 This ninja tool is found in many other historical ninjutsu texts, including the Bansenshukai (shown in picture). Kagi-nawa translates out as: “hooked rope”. The kagi-nawa is a rope that has a hook attached to the end of it, and it would aid the ninja in: climbing, infiltration, extraction, tying people up to torture them, tying doors together to keep people from entering or exiting, building shelter and setting traps. The list of uses for the kagi-nawa/uchi-kagi can go on and on.